Preparing for a Walt Disney World vacation is a large task, and a big part of that task is setting advanced dining reservations (ADRs). Unless you’re someone who likes going with the flow and deciding where you’ll eat in the moment, you’ll want to plan your day around where you eat. There is a case to be made that a sit-down meal for lunch is better than sitting down for dinner. Free Dining is incredibly popular for first-timers and veterans alike, so there are many people out there with table service credits planning their trip every day. So if you’re reading this, does this argument make sense for you? If you have young children it might. If you’re going when it’s extremely hot and humid it might. Are you rope dropping? If the answer is yes to any of those statements, then booking that lunch reservation might be a better idea. It’s redundant to say that Florida gets hot, especially in the summer. You’ll find tips and suggestions everywhere on how to get out of the heat while at the parks. Booking a lunch reservation for table service is one way to do this. The mid-day heat just saps the energy right out of you, especially if you’re not used to it. Getting out of the heat and sitting in a nice air conditioned restaurant gives you a chance to rest, relax and conserve your energy. This allows you to spend more time in the parks before you get tired and have to go back to your hotel. If you’re rope-dropping the park, that means you’ve been up and since dawn getting ready for your day even though it’s a vacation! That means by mid-day you’re probably very hungry and tired! Just like it’s a good idea to get out of the heat and recharge, it’s a great idea to do the same when you’ve been up on the go for 6-7 hours already. Typically your sit down meal will have more food than a quick service meal, so having your largest meal of the day is better in the middle of the day rather than the end of the day. As long as you don’t over-eat, giving your body the fuel it needs to go the distance is the smart play. It’s probably many people’s objective to stay in the parks as long as possible to get the most out of that very expensive ticket. Giving yourself a nice one or two hour break in the middle of the day after running around the parks for four or five hours is something that is required if you want to make it to the firework show and not be exhausted. I’d like to stress here, that if a long meal in the middle of the day is not your style, I’d advise a few rounds of the PeopleMover, the Hall of Presidents or the Carousel of Progress as something that’s wonderful to do around lunch time. If you’ve got a few young kids, especially those that need strollers, a midday break is a must. One of my key pieces of advice for any family with young children is to plan your day around breaks. Those are meals, parades, shows or anything else where you can sit down in one place for an extended period of time. Young kids just compound the issues in the previous two arguments. Is it 100 degrees outside? It’s harder with kids. Did you arrive at the park at 8 am? You’re even more tired by 1 pm with kids. 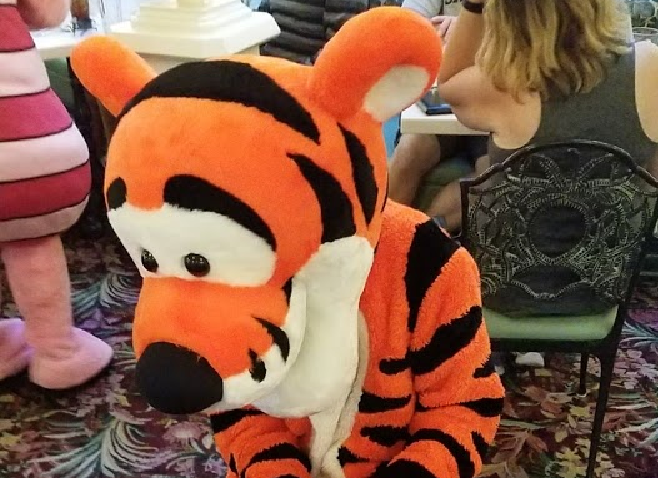 If you’re on the Disney Dining Plan, take your kids to a character meal at lunch. If you’re at the Magic Kingdom book Chef Mickey’s or the Crystal Palace. They’ll love the experience and it’s one table service credit on the dining plan. Not only do you get off your feet, you’ll be able to put down that diaper bag and keep the kids sitting down in one place! I’m speaking from experience here folks. Look, I’m not saying that sit down meals at dinner are a bad thing or the wrong choice. A nice evening meal is very welcome and enjoyable. 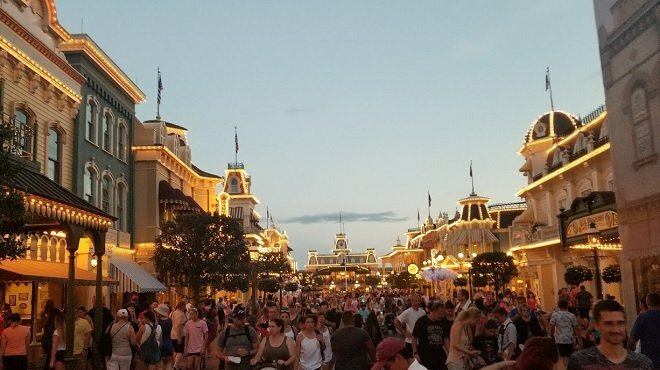 However, an argument is made that using your time in the middle of the day instead of in the evening has some additional benefits if you’re a family on the go, experiencing Walt Disney World in the summer.